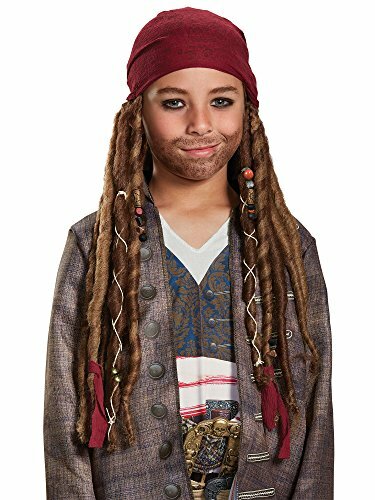 Jack Sparrow wouldn't be Jack Sparrow without his iconic bandana W/dreads, so complete your pirate look with these very cool bandana with dreads!. 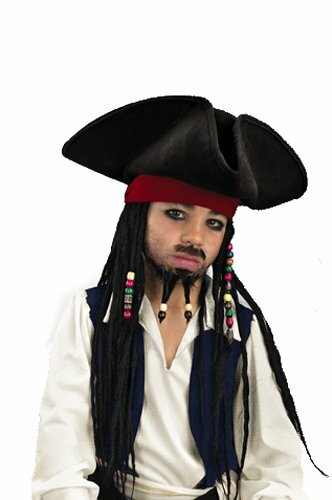 Jack Sparrow is back in the new hit movie pirates of the Caribbean 5: Dead Man tell no tales! 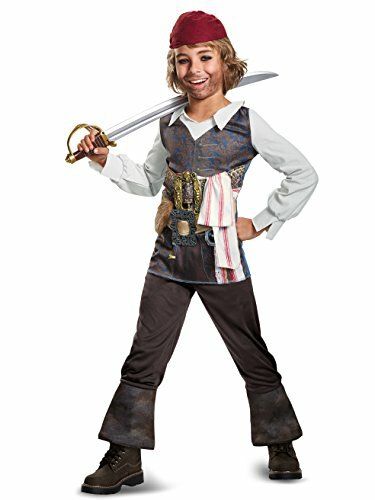 this prestige costume is for that ultimate Jack Sparrow fan that wants to look just like their favorite pirate. 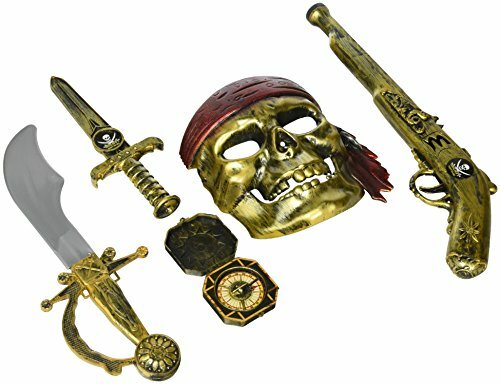 Including among many pieces is an amazing jacket, multiple belts just like he has in the movie and of course the pirate hat!. 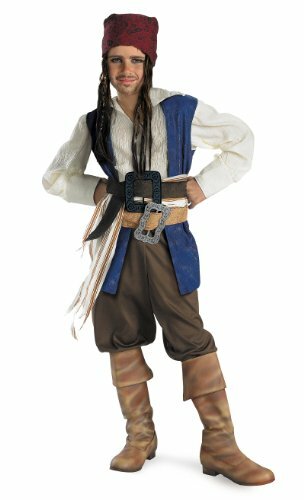 Jack Sparrow is back in the new hit movie pirates of the Caribbean 5: Dead Man tell no tales! 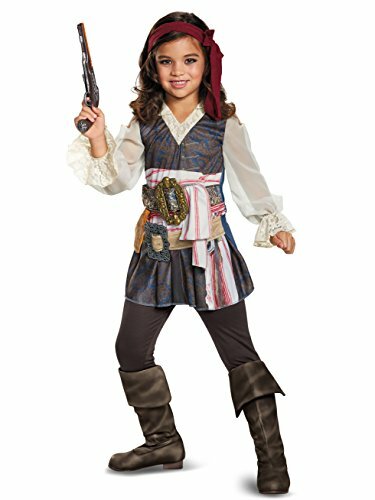 girls want to be pirates too and now they can in this Super cute Jack Sparrow girl costume!. Includes: Hat with hair. 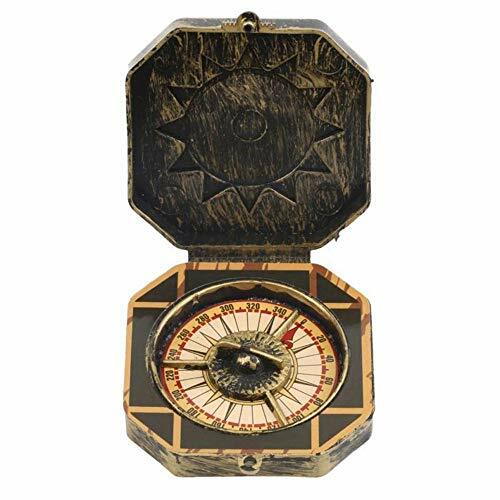 Not included: Moustache, goatee. 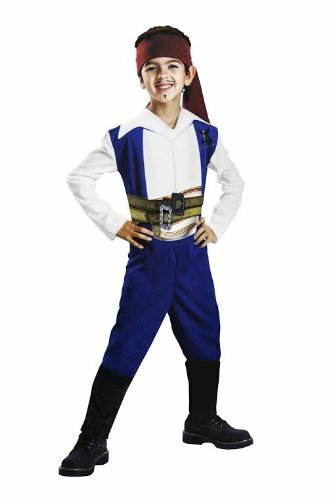 Includes: Shirt with vest, sash, (2) belts, pants, bandana with dreadlocks. 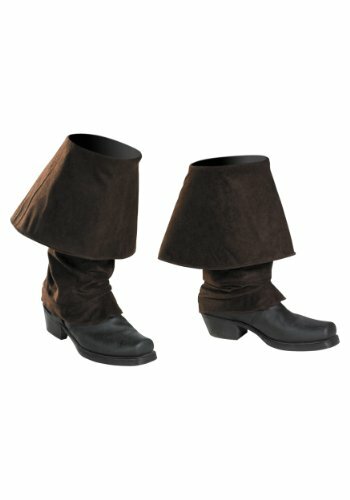 Not included: Boot tops, shoes. 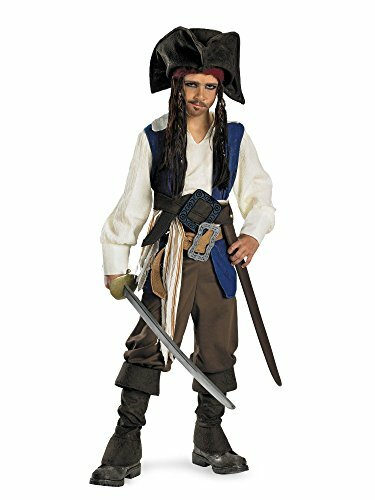 This Pirates of the Caribbean Jack Sparrow Pirate Child Costume includes a shirt, vest with sewn in fabric sash and two attached belt with buckles (boot covers, pants, toy weapon, hat, moustache and goatee sold separately). 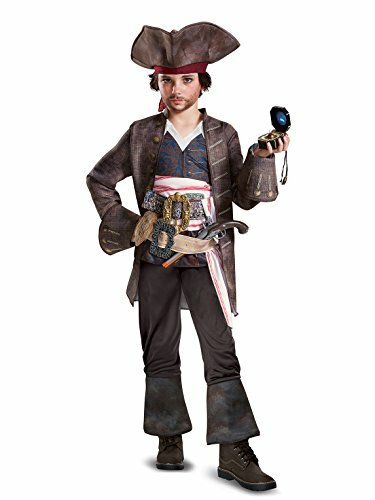 This is an Officially Licensed Disney© Product. 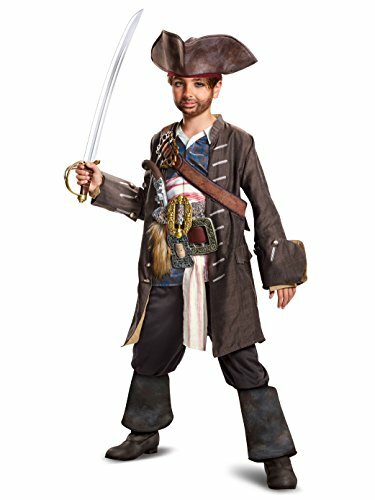 Well shiver me timbers, if it don't be Jack Sparrow himself! 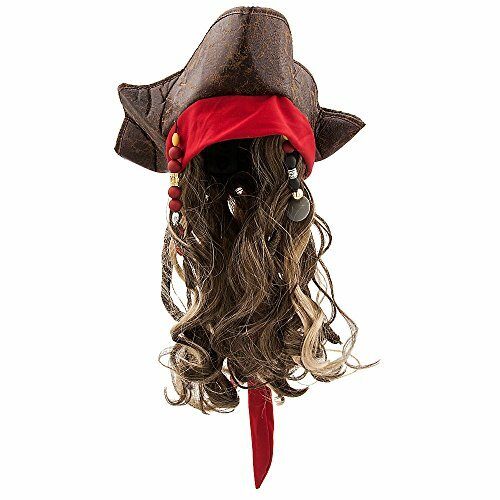 Put on some swashbuckling style when you transform yourself into the notorious buccaneer with this three-cornered pirate hat with attached wig. This Jack Sparrow Classic Costume features a shirt with attached vest, fabric sash, two belts with attached buckles, pants and bandana with beaded braids.